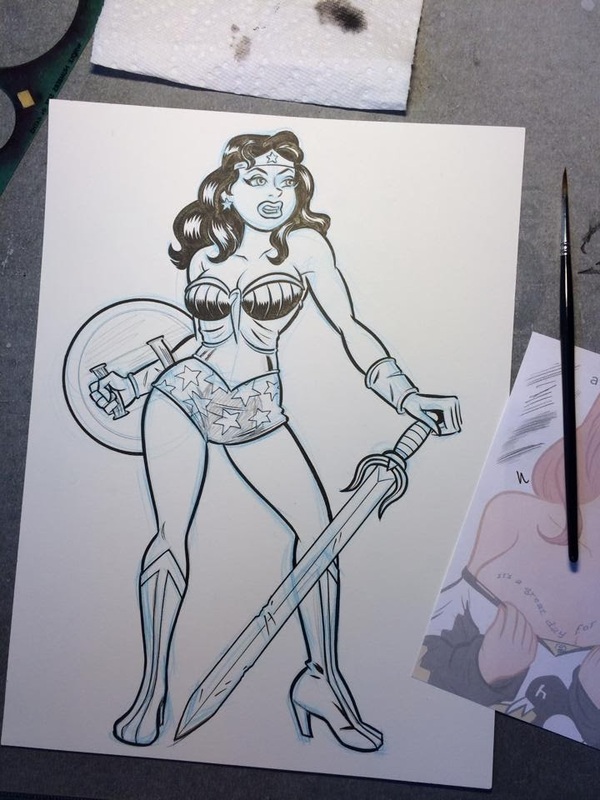 Here are a couple behind-the-scenes images leading up the Wonder Woman piece I posted recently, my original page of sketches and the inked line art. As I mentioned, this piece was created for the Trinquette Weekly Drawing Challenge on FB. Trinquette head honcho posts the theme and about a half-dozen images as reference, and you go to town. My initial idea was to tackle Power Girl, a character I like and have been drawing for years, but wearing her "New 52" costume from the current DC Universe. 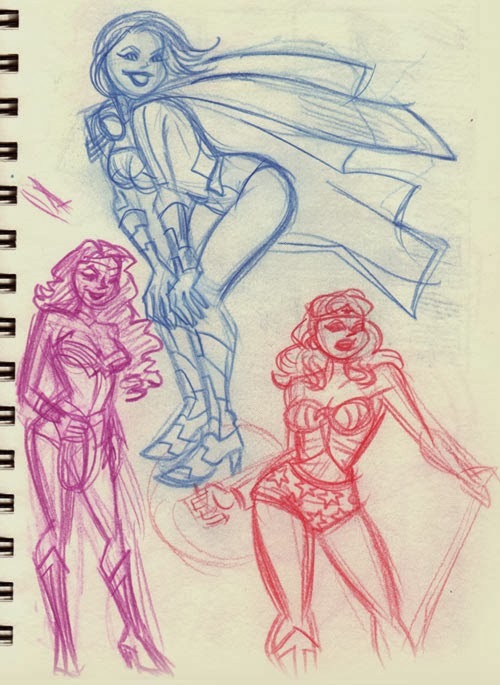 I realized as I was sketching this, however, that a lot of the New 52 costumes are overly-detailed, needlessly ornate and rather boring, so I scrapped the idea and just went with Darwyn Cooke's beefy, brawny, brick shithouse Wonder Woman. Zaftig! Beautiful. I wish my sketchbooks looked as nice as yours but mine are just scribbley doodles and stuff. Well done.